Rice is a very important staple in Haitian culture. You can make a 4 course meal with all the fixings for my father but if there was no rice, he would say that we didn't give him any food. Because rice is such a key component, it can be prepared in a variety of ways. One of the most common is just the plain and simple white rice, or as we call it, "Diriz Blan". It can be accompanied with various sauces, meats, and vegetables. With white rice, it has to be cooked just right. It can't be overcooked causing it to be too mushy. Nor can it be undercooked causing it to be too hard. I've heard plenty of jokes in our culture stating that you aren't a true Haitian if you don't know how to make rice. Thankfully my family taught me how. This particular version of white rice is one that I picked up from my mother. I loved the way she made her white rice. It's so good that you can eat it alone without any other accompaniments. My toddler son is a very picky eater and he'll eat this without any problems. And unlike other Haitian rice dishes, this one is incredibly simple to make. 1. Pour about 4 tbsps. 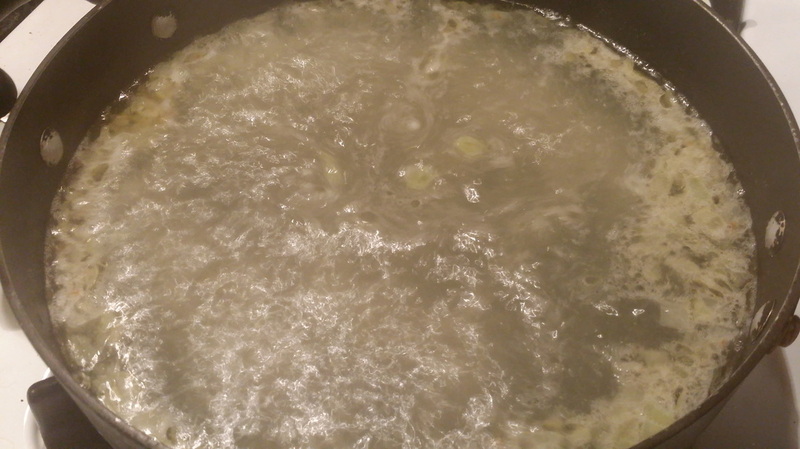 of vegetable oil in a pot, enough to coat the bottom, along with 1 small finely diced onion. 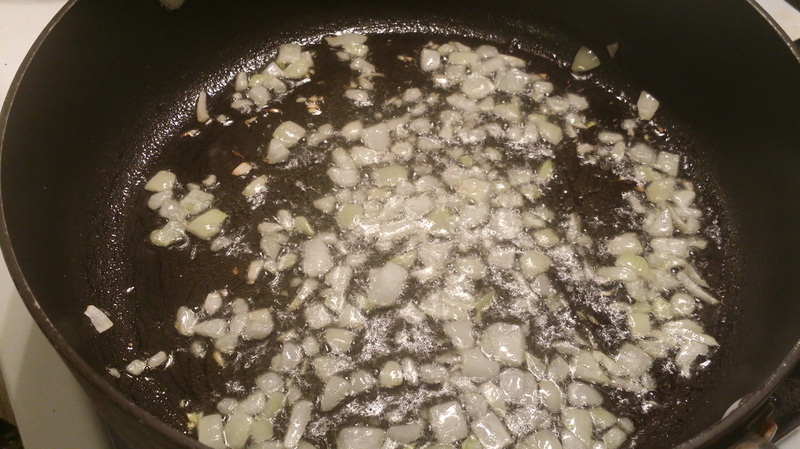 Bring up to a medium heat and sauté onions until translucent for about 2-3 minutes. Do not let onions brown or develop color. 2. Once onions are translucent, add 5 – 6 cups of water into the pot (based on your preference for the tenderness of the rice), and 1 tsp. of garlic powder to the pot. Depending on your preference for salt, add either 1 tsp. or 1 ½ tsps. of salt to the water. I personally prefer 1 ½ tsps. Increase the heat to high to bring water to a boil. 3. 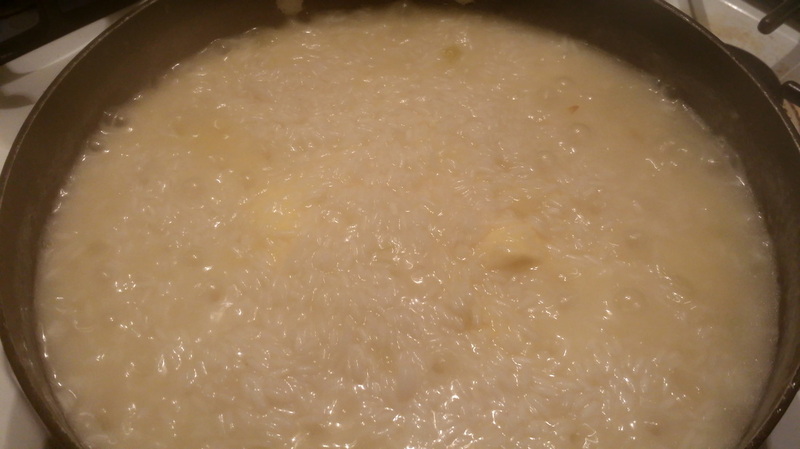 Once water reaches a roaring boil, add in 3 cups of rice and stir. Every 2- 3 minutes, continue to stir as water starts to dry. 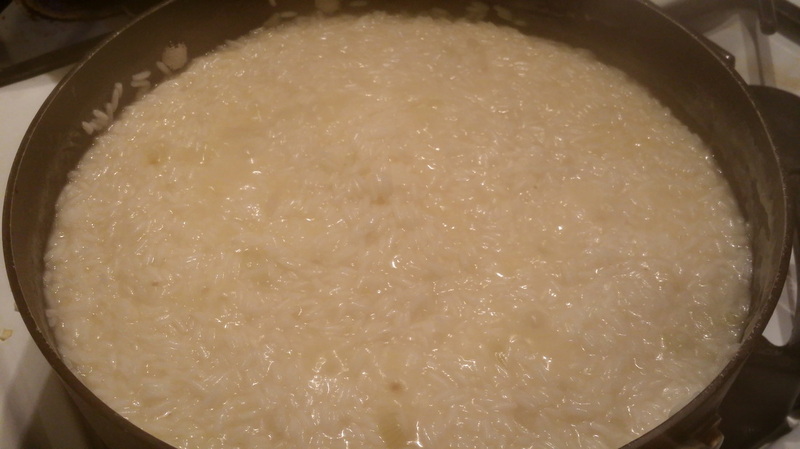 When liquid is close to drying but there is still a layer above the rice, reduce heat to medium and add 3 tbsps. of butter. Mix well to fully melt and incorporate the butter. 4. When the liquid reaches the level of the rice, yet the rice still looks moist, cover the pot with it's lid and bring the heat down to a low simmer. You don't want it on the lowest setting, but maybe about 1 -2 settings above low. Simmer on low for about 20 minutes and resist the urge to lift the lid off the pot. 5. After 20 minutes, shut off the stove and let it stand for about 5 more minutes. Then, your rice is ready to be served. What are your thoughts on this recipe? 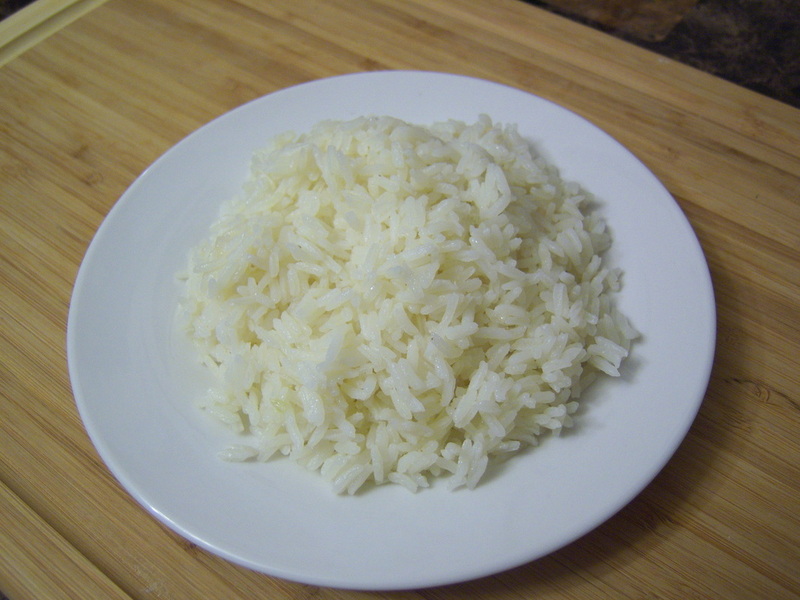 What do you usually pair your white rice with?